We lost one of my favorite motivational speakers this year. His work will always be with us! ~The World’s first gas station opened in 1907 on East Marginal Way. ~It has the highest percentage of residents with a college degree or higher. 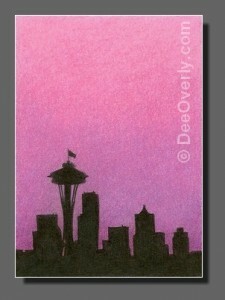 ~Starbucks, Nordstrom and Amazon.com were all founded and headquartered in Seattle. ~The Farmer’s Market at Pike’s Place Market is the longest continuously operating farmer’s market in the US. ~Seattle residents buy more sunglasses per capita than any other city in the nation. ~Hmmmm, Seattle is also in the top ten U.S. cities with the most rainy days. The News Feed in your Home section can be overwhelming with things you really aren’t interested in seeing. You can control what you view by putting all of your Friends into lists. And you can even decide what status itemz appear in each of those lists. When you log into Facebook, you are already on your Home page, but you can go there anytime by clicking Home in your menu bar. Copyright © 2018 DeeOverly.com. All Rights Reserved.